Our first posting in Africa was in 1978 to a small town in Burkina Faso and we got our first real introduction to mangoes. During the rainy season, the mango tree produces new leaves, but no fruit. Then the rains end. A dry wind called the Harmattan comes down from the Sahara desert. The humidity drops to near zero. For months, there is not a drop of rain. Wells go dry, small rivers become dusty channels in the baked earth. But the mango tree stays green, However, its biggest achievement is still to come. With the aridness at its apogee, it somehow manages to load itself down with juicy fruit! Burkina Faso has more kinds of mangoes than North America has kinds of apples. They have been creating hybrid varieties for a long time. Some are huge – almost the size of a pineapple – with a very strong flavor. 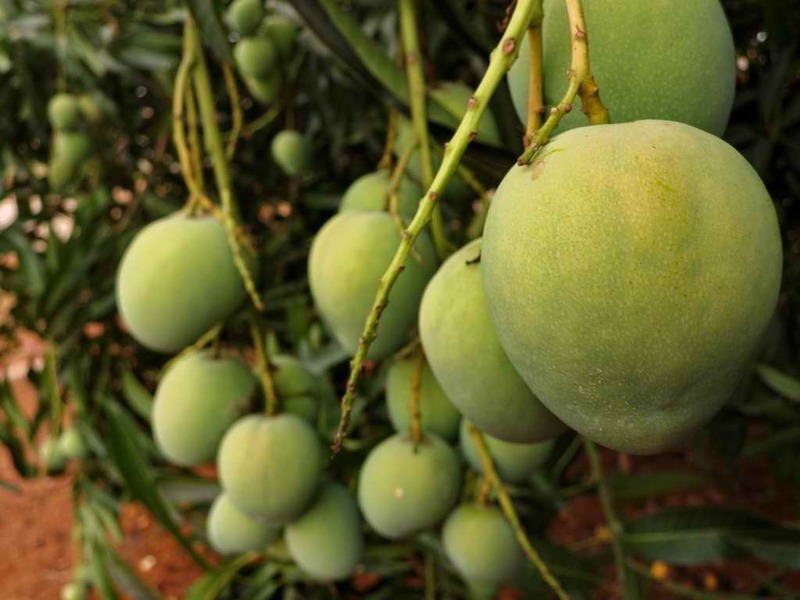 Mangoes were seasonal, but they have created such early and late varieties that mangoes are now available year round. We fell in love with one variety in particular – the Lippens which originated in Florida. It has no strings and a flavor which reminds us of peach. Yummy. If you have not eaten mango much, beware. Many people are allergic. For many years Dayle could not even touch a mango without breaking out with the typical itchy rash on her lips, cheeks and neck. But the biggest gift of the mango tree may be its shade. It does not lose its leaves, the non-hybrid tree can get quite large. Its leaves and branches are thick. So it creates a dense shade. 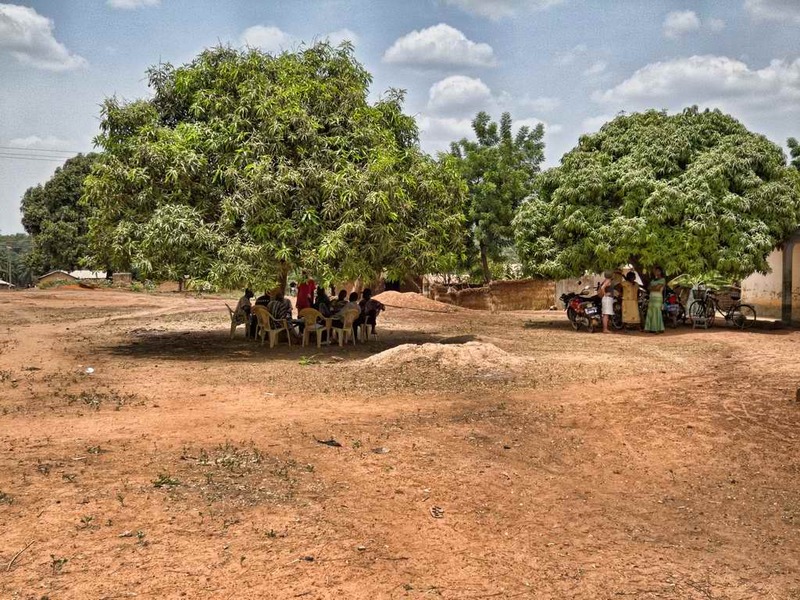 Many of my photos of people meeting to discuss literacy, the development or their language or Bible translation include a mango tree or two. Spaces where local markets are held and roads are often lined with mango trees. Click on any photo below to enlarge it and start a slideshow. If you liked this, you might also like Wrong kind of kid in school, Phone number, or God’s time is best. This entry was posted in Burkina Faso, Ghana and tagged lippens, mango, shade. Bookmark the permalink. The itchiness comes from the skin. Like turpentine! If my wife would peel the mango (she wasn’t allergic to it) I could eat it. We also made mango sauce like apple sauce, which I could eat. What about mango sauce. Did you ever try it? A more pungent flavor than apple sauce, but in the tropics quite refreshing! We tried cooked mangoes several ways, but I always found that cooked mango has a vegetable-like flavor. My favorite, however, was mango-ginger jam. That is very nice. P.S. It seemed the cooking for mango sauce took out all the turpentine. Mango-ginger jam sounds good. I don’t think I’ve ever had it. Not mangos, but guavas: have you ever had guava jam? Better than apple butter! You are right about that. Guava butter is the best. Beats apple butter hands down.